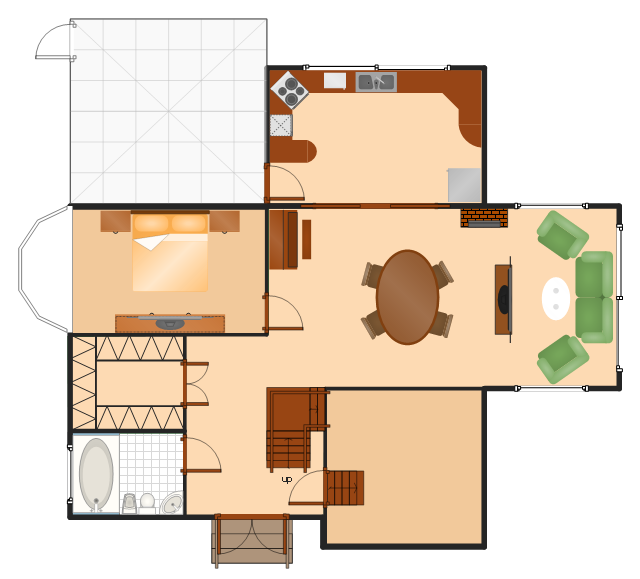 This interior design sample shows the layout of furniture, kitchen and bathroom appliances on the house floor plan. "A house is a building that functions as a home for humans or other creatures, including simple dwellings ranging from rudimentary huts of nomadic tribes and complex structures composed of many systems. 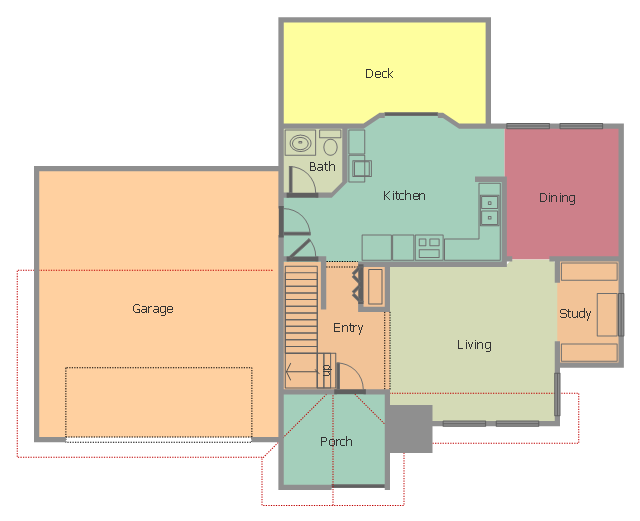 The social unit that lives in a house is known as a household. Most commonly, a household is a family unit of some kind, although households may also be other social groups or individuals.